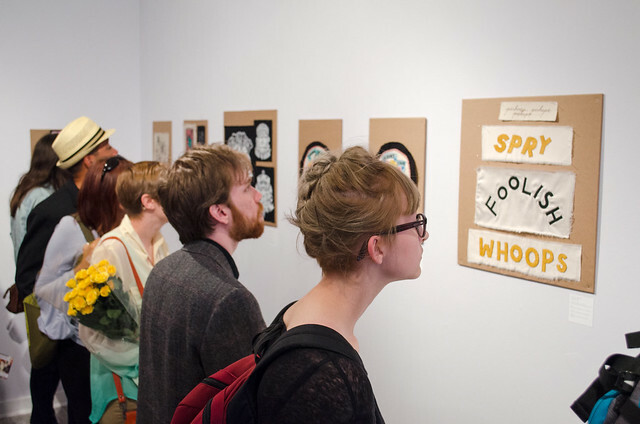 LIGHT GREY ART LAB: Patches + Stitches Opening Reception and Teagan White's Artist Talk- Recap! 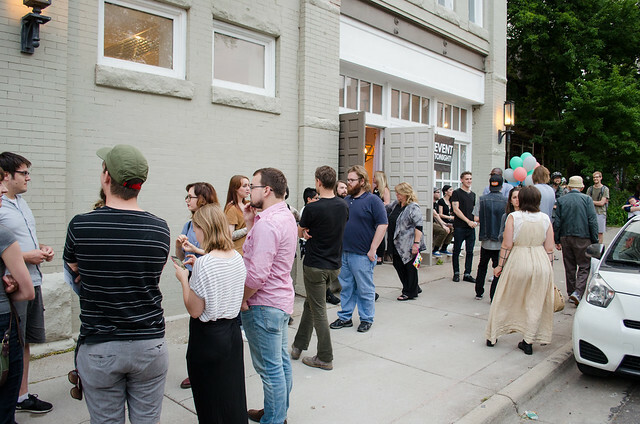 Patches + Stitches Opening Reception and Teagan White's Artist Talk- Recap! 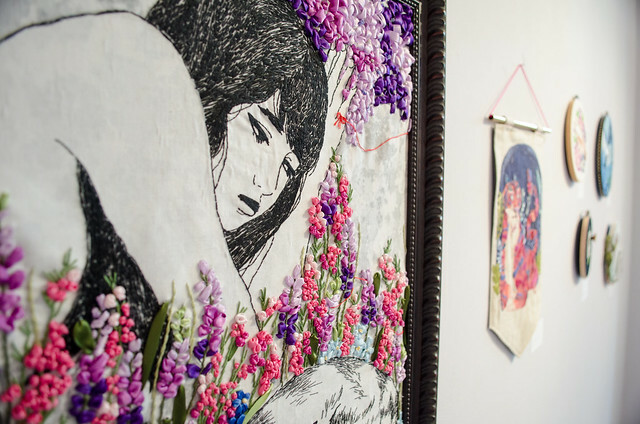 Thanks to everyone who made it out last week to the opening reception and celebration of the Patches + Stitches Exhibition! We kicked off the evening with an artist talk and discussion by illustrator, Teagan White. Teagan walked us through her practice, sources of inspiration, and how her work has developed over the years! 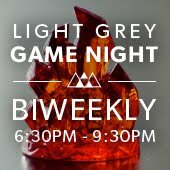 You can find the artist talk on the Light Grey Podcast here! 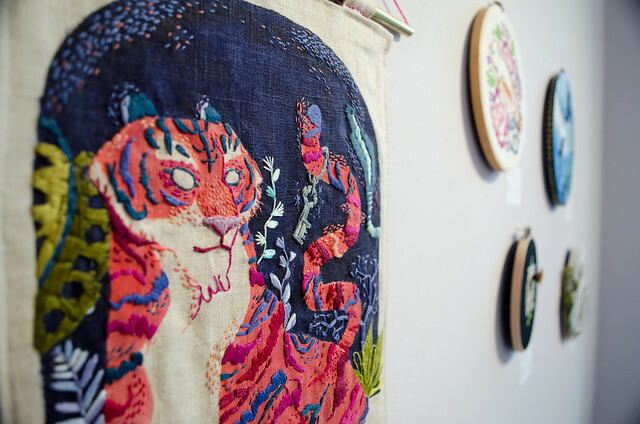 The artist talk with backed by the Patches + Stitches Exhibition, which features handmade originals and limited edition woks by 70+ illustrators and designers from around the globe. These unique collections include similar materials, textiles, and fabrics, with drastically different results! Guests were able to walk through the gallery perusing the variety of techniques, hand done typography, ornate details, and delicate originals! 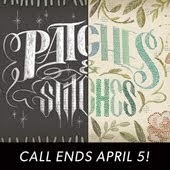 Patches + Stitches will be on display at Light Grey Art Lab through July 18th! Stop by to see these great pieces and check out the entire collection on the Light Grey Shop. You can also view more works from the opening reception on the Light Grey Flickr page here. Thanks again and we hope to see you soon! This is very necessary information. Thank you for sharing it. Hello! Now there are many online games available for free on the Internet, which are new trends to entertain children and reduce stress after school season. 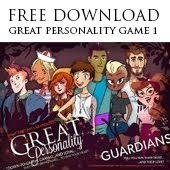 The games are suitable for many types of players and different ages. There is someone like playing online games on social networks like Facebook, Twitter, Google Plus, so you can spend their time playing online games on your personal computer, tablet, smartphone, iPhone. They can play all kinds of Flash and HTML5 games on the device, here is the y8 page for kids. Y8.com is one of the most popular and new games from Y8 Games Who did 10 000,000 monthly visits. It allows players to play many of the benefits online. This site page provides players with several types of games: such as racing, shooter, fashion, fighting, arcade, Disney characters and more. Thanks! Students Assignment Help provides the best college essay assignment Help for Students. Our expert team is available any time to help in all academic writings like Dissertation Writing, Essay assignment Help, course work, Assignment Help. I think this is the popular posts on this blogs is one of the best ways to get a good idea which will be popular. Such a lovely blog you have shared here with us along with you should read about cache cleaner app for android device, it also remove all duplicate images and free up the space. you people kicked off the evening with an artist talk and discussion by illustrator, Teagan White. every one talks about patches + stitches exhibition. Teagan walked us through her practice, sources of inspiration, and how her work has developed over the years! very interesting sketches can find out in this article. Tutorial of Videos Downloading for your device. feel regret for not coming to the exhibition!